Welcome to the ‘Dark at 4pm, deadline week, Chipps is back and we’re ignoring him’ winter Fresh Goods Friday special! Yep, there’s no getting away from it that we’re fully into the grips of the winter months now, and yet it’s just that little bit too early in the winter season to immediately start sinking into vats of stout and dark mild and hiding under mince pie wrappers until spring. 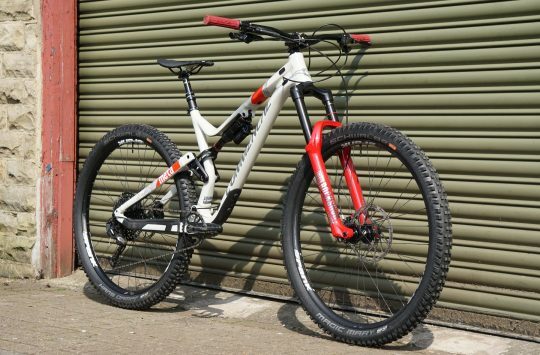 So, we’re aiming to keep the bike stoke high and keep your enthusiasm for all things mountain biking as good as it was back in the sunny, dusty days of June. What bike would The Stranglers ride? It’s the big bruiser of the Focus range. 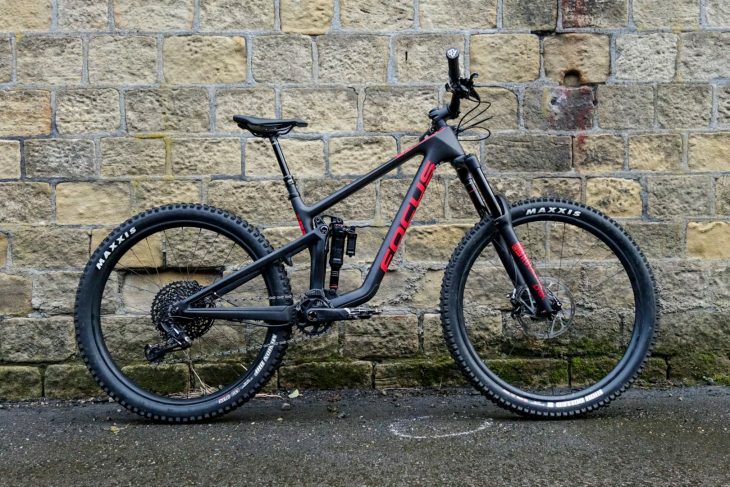 The new 27.5in wheeled SAM looks the business and offers up 170mm of travel, front and rear. This should keep that spark alive in the winter slop, eh? 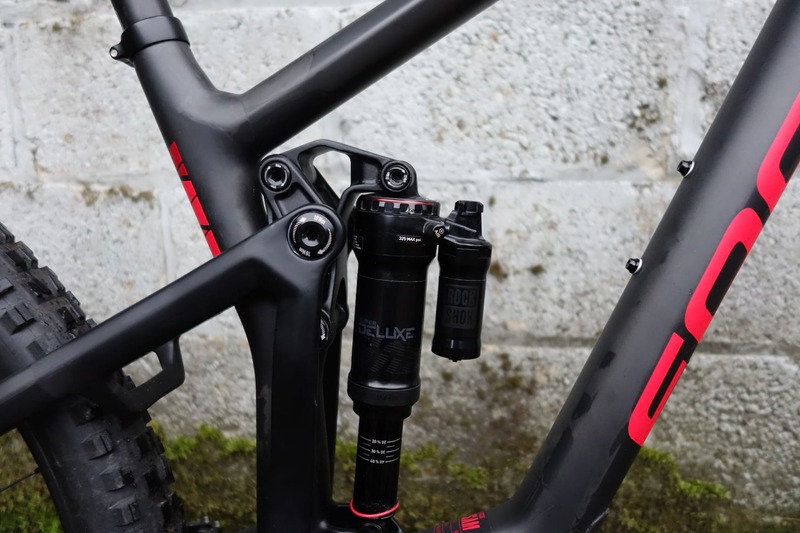 The RockShox Deluxe remote reservoir shock means business. This product has been a long time coming, but has finally arrived with us. 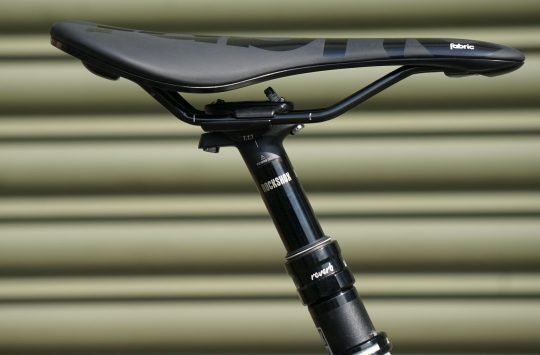 The 2019 LEV is a complete redesign on the current 27.2 dropper post from KS. 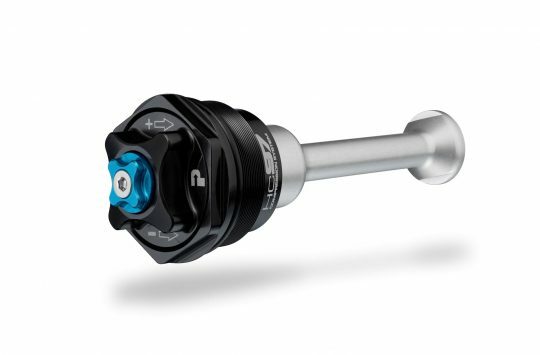 There’s a new, forged shaft, which should stiffen things up on this, the thinnest of dropper diameters. There’s a new bigger volume air chamber, with a user-adjustable pressure valve hidden in the saddle clamp now, along with KS’s new no-load actuation, where the lever force isn’t affected by the rider sitting on the saddle. 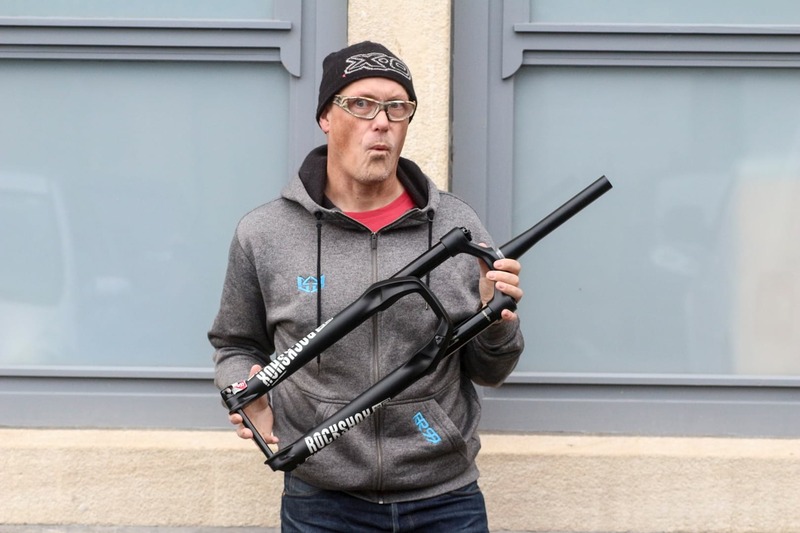 All of this should be good news for riders of 27.2 seatpost bikes – older bikes, steel bikes, adventure and cyclocross bikes – all sorts really. 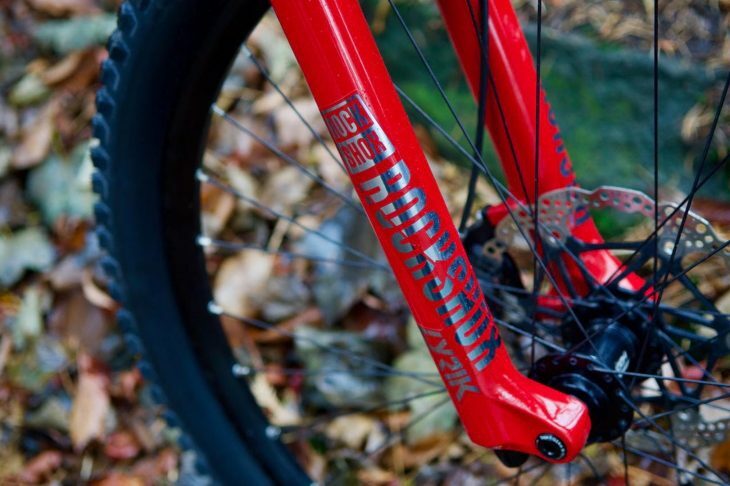 The post will come in 80, 100 and 120mm versions – internal and external routing too. 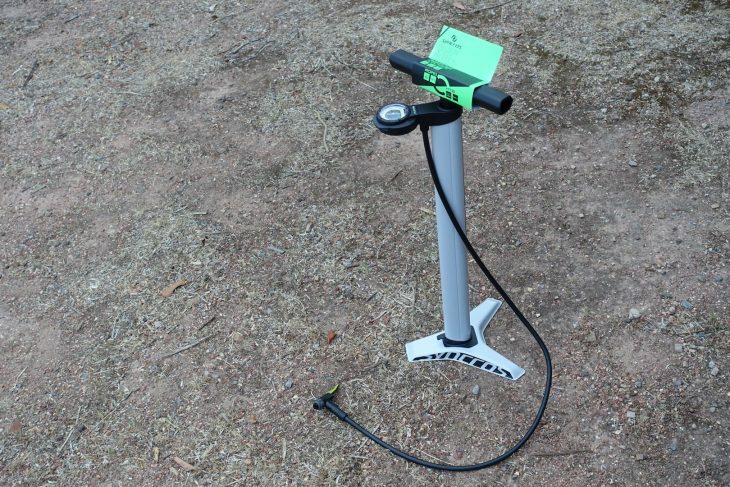 Syncros has a clever new floor pump. And his name is Vernon. 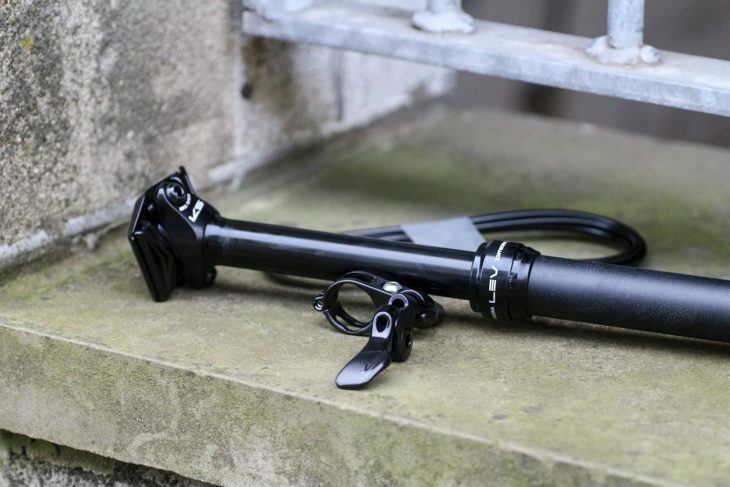 First shown in prototype form at Eurobike, the new Vernon 2.0 Dual floor pump from Syncros is now available through Scott dealers around the globe. Sharing a similar size and spec to the regular Vernon 2.0 floor pump (like the robust steel barrel and base, air bleed button, and flippable valve head to suit either Presta or Schrader valves), the new Vernon 2.0 Dual adds another very clever feature that makes it more suitable for a wider variety of bikes; dual pressure modes. Inside the barrel are two air chambers. In ‘MTB’ mode, both chambers are engaged to deliver more air volume per stroke. In ‘ROAD’ mode, one chamber is disengaged, which turns it into a low-volume, high-pressure pump that’s much more suited to the higher pressures you’ll find on a road or gravel bike. To change modes, you simply flip the analogue gauge 180°, which activates the internal valve between the two air chambers. 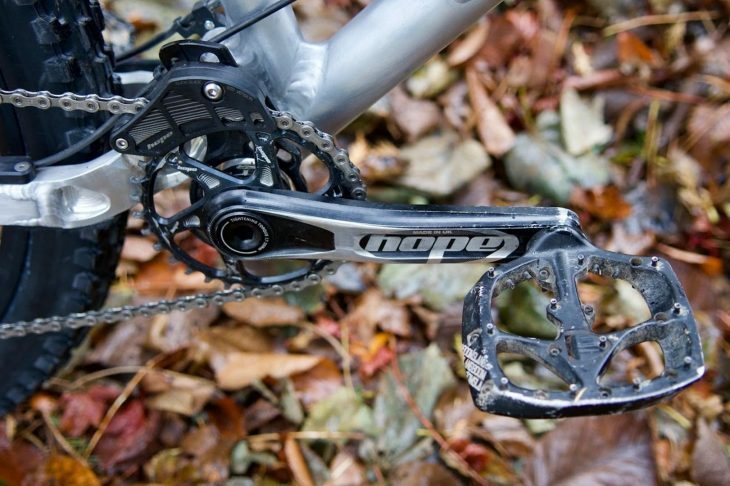 The low-volume ROAD mode goes up to 160psi. 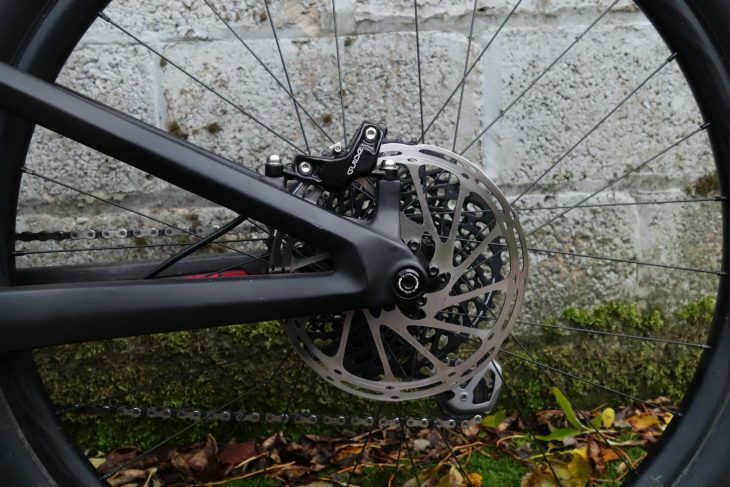 And the high-volume MTB mode goes up to 40psi. 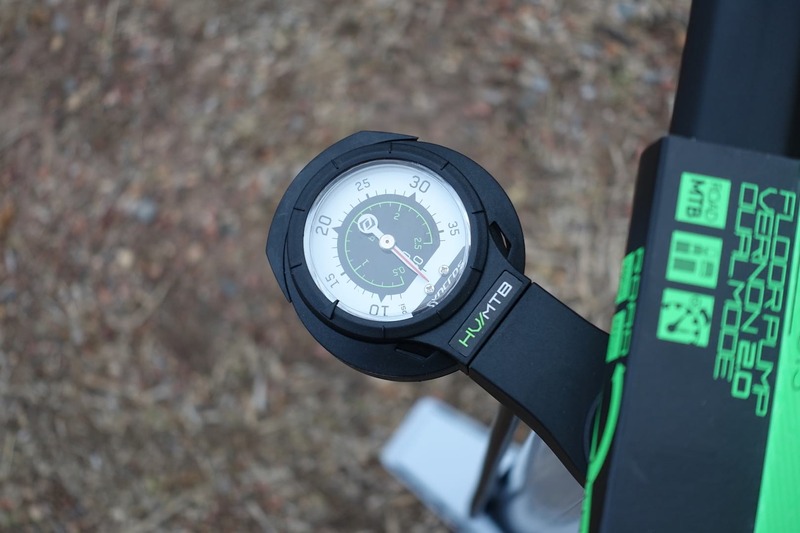 The MTB gauge reads up to 40psi, giving you a nice and easy to read display for lower tyre pressures that mountain bikes require. 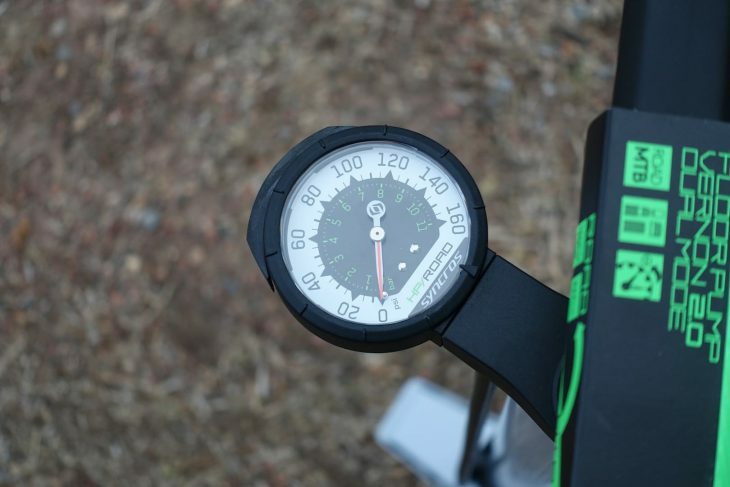 The ROAD gauge goes up to 160psi. 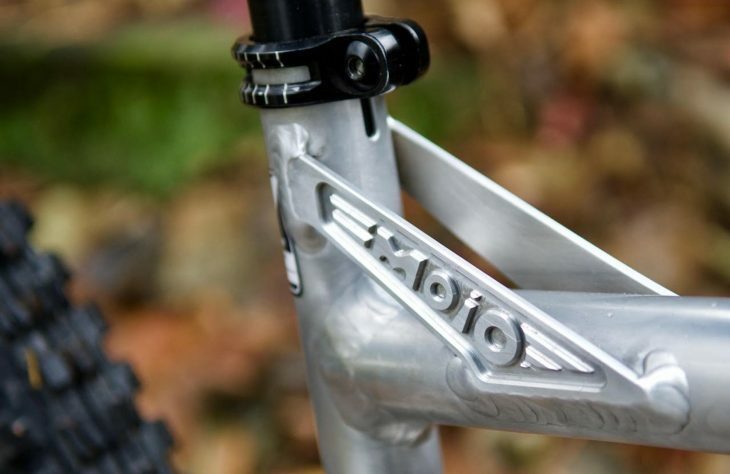 No need for cable ties – the Syncros fender bolts straight into the back of the lowers on a Fox 34 or 36 fork. 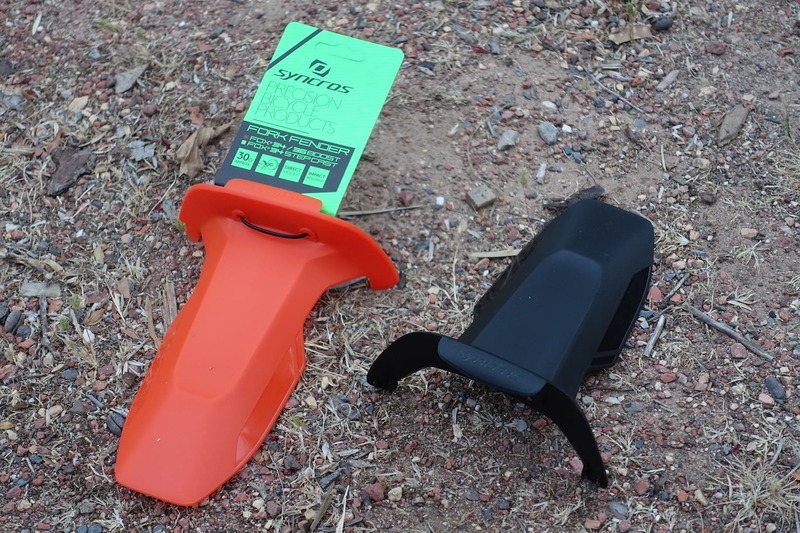 Syncros has been offering this neat little bolt-on fender for a wee while, but you can now get it in Orange! Also, there’s a separate version designed specifically for the 34 Step-Cast fork. Oh my. Wheels in separate postcodes. Sod, that, separate counties. 1352mm wheelbase. Those rocks in the background are actually 600ft cliffs (not actually true). “Back once again with the Lyrikal Gansta, with the ill behaviour”. 160mm of bright red, smooth, buttery plush ill behaviour, mind you. Does this remind anyone else of Mojo Jo Jo from there Powerpuff girls? Just me? Anyone? Hello? Hello? 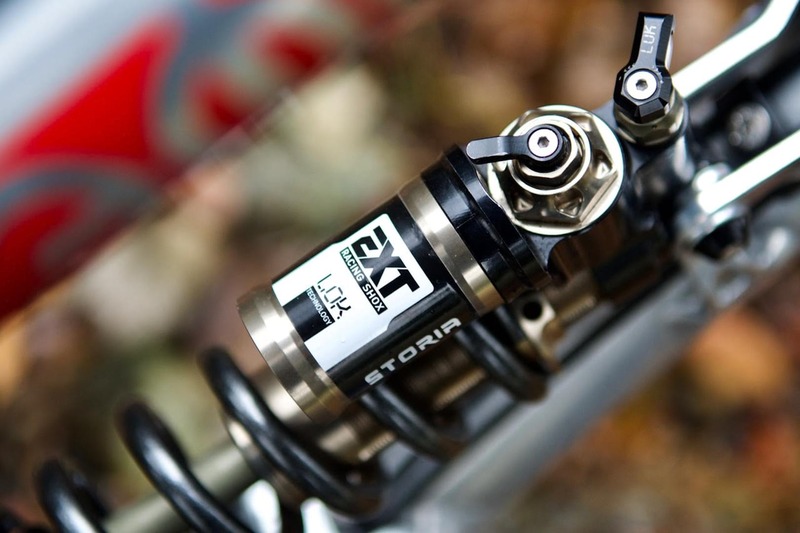 Extreme Racing Shocks Storia LOK for enduro-aimed, gloriously coil-shocked, piggyback valved lock-outable plushness. 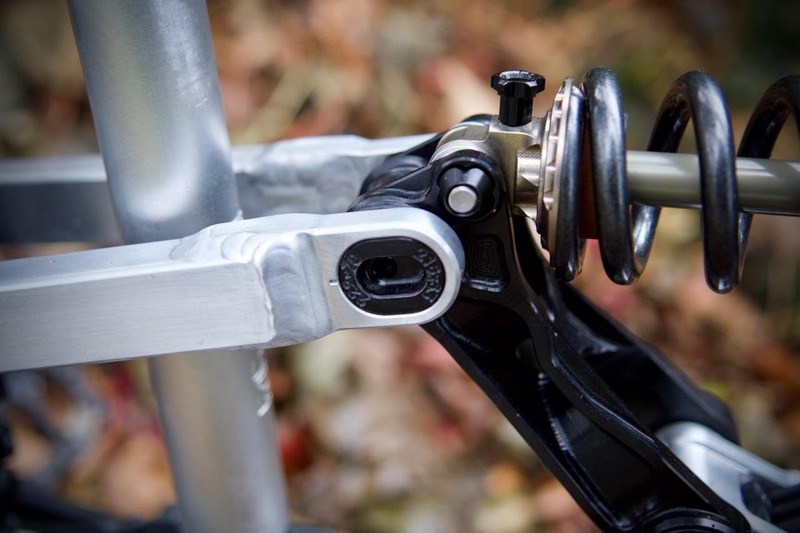 Adjustable linkages and offset bushings especially set up for Ultra HebTech ™. And LOOKIT THOSE WELDS. To quote the Fabulous Furry Freak Brothers, “Hope will get you through times of no money better than money will get you through times of no Hope”. At least, I think that’s what they said*. Made, in an orange glowing light, according to Barney’s mind. The Rock And Roll tool roll (wonder where the name comes from?) 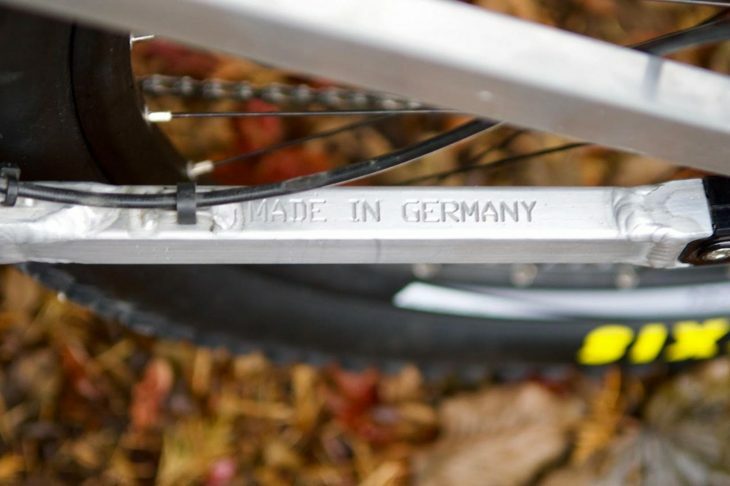 is designed to be slim enough that you can wrap it, along with your spare tube in your Enduro Strap onto your bike frame. It comes with a mini ratchet tool (so clicky! ), extension rod, and nine bit kit. 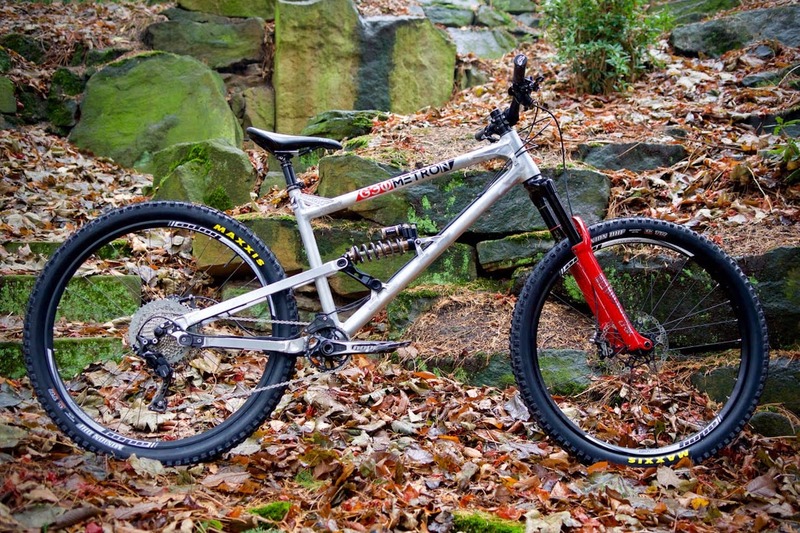 Granite Designs reckon the ratchet is tough enough to withstand 60NM at the gear. There are 7 Hex bits (2mm/2.5mm/3mm/4mm/5mm/6mm/8mm), Star bit (T25), and Philips bit (PH2) in the kit. 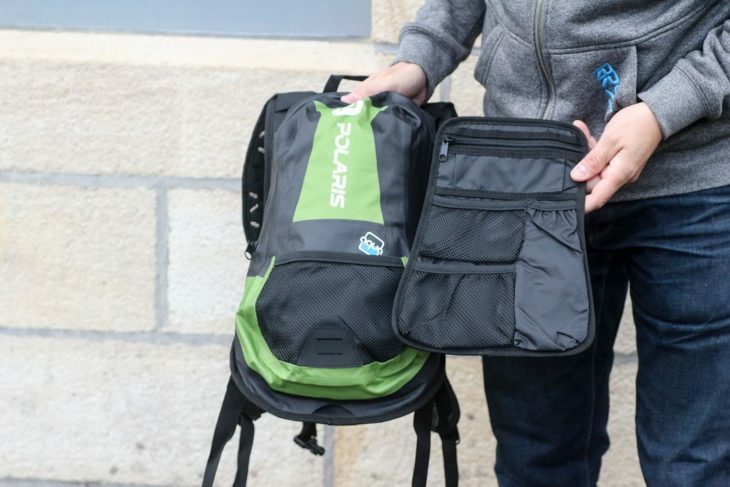 And there are an additional two pockets for your spare chain quick link, all in a low-profile flat Cordura wrap. Velcro-in tool-tidy keeps the chaos together. 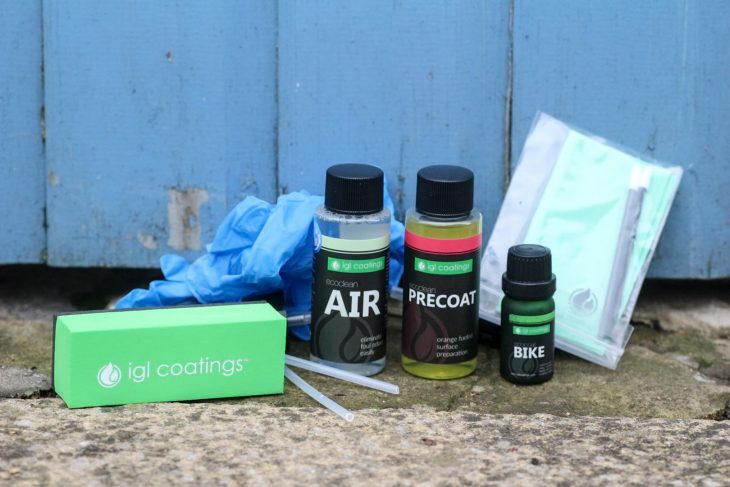 No one likes soggy trail sandwiches at the best of times, and in winter, keeping your kit dry can be more important than a dry cheese and pickle. The worse the conditions, the more important it is that things like your spare layers, gloves and phone are kept dry. 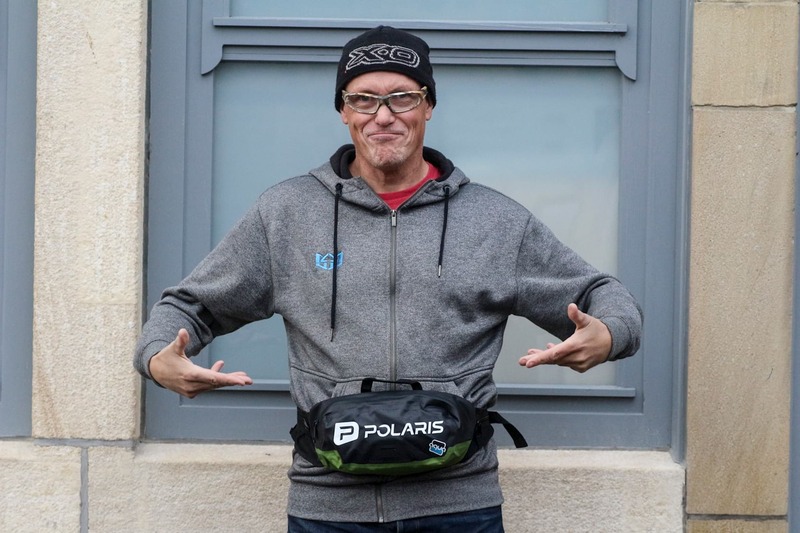 This bag from Polaris is fully seam-sealed against the elements and should keep the contents dry, no matter how hard the deluge. 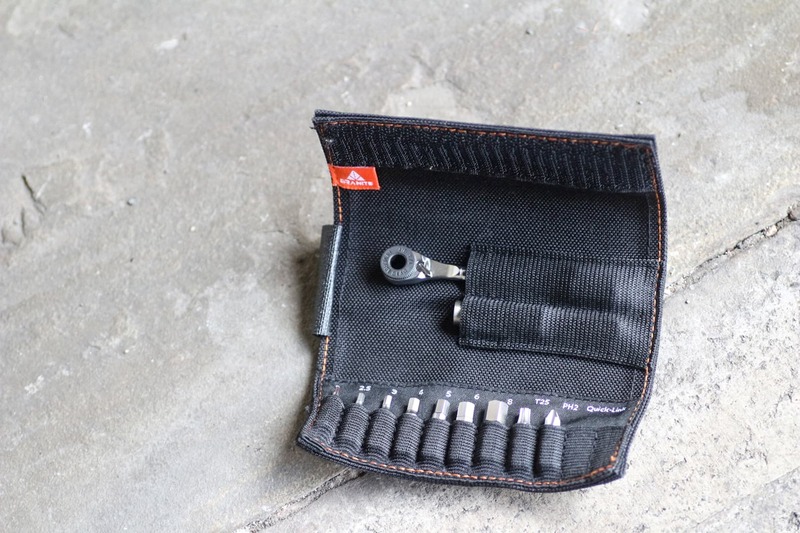 The bag also features a neat, removable tool storage card, that Velcros to the inside of the main compartment, keeping mini-pump and tools in place. 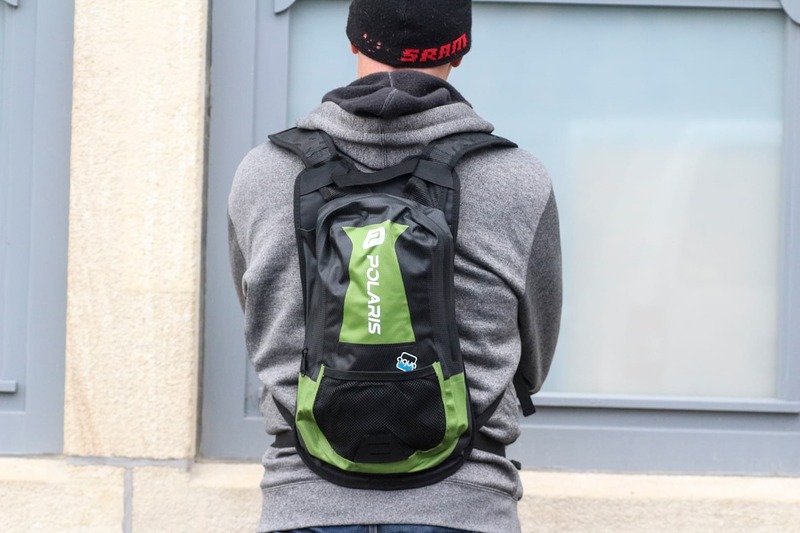 There’s a 3L hydration bladder, with its own storage (no one minds wet water apparently) which left-handers will be happy to hear can be routed to either side of the pack. 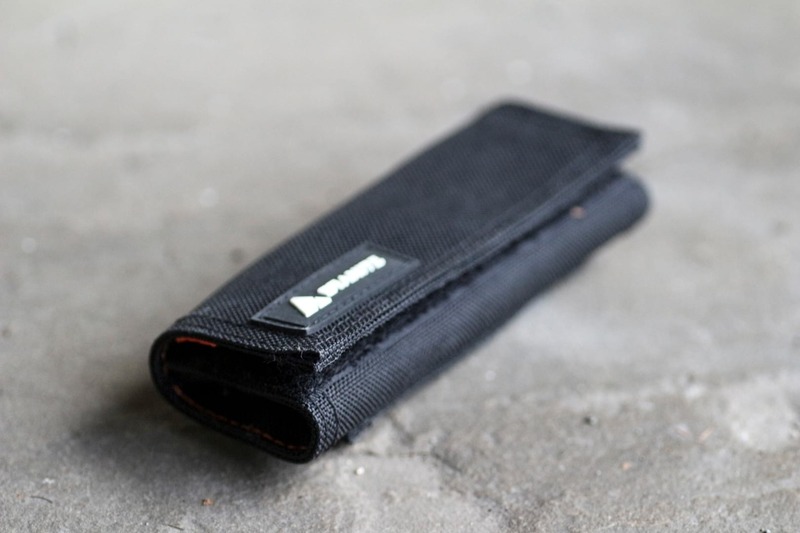 Finally, there’s a small rear mesh pocket for wrappers etc. and a light loop too. 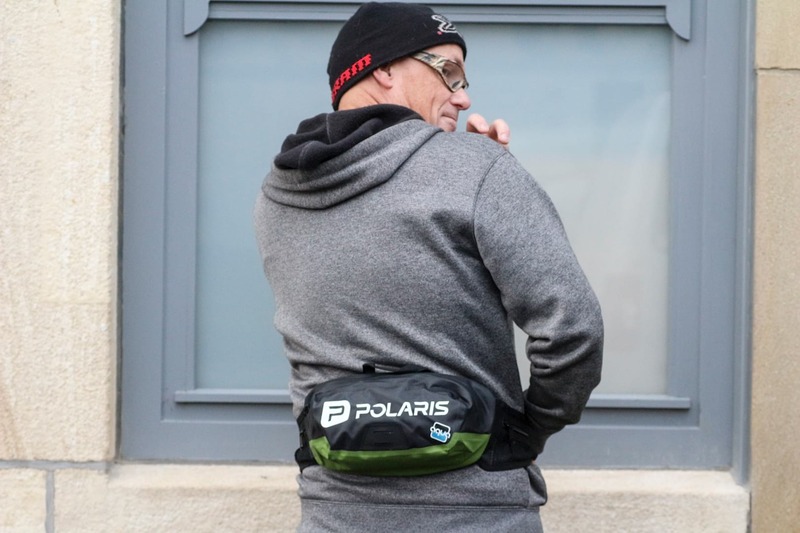 Even if you’re out for a swift winter blast, keeping your essentials dry is, well, essential, so Polaris is also offering this waterproof bumbag. It’s small – and a quick tot-up of the measurements puts it at about 2.6L, but it should be enough for a layer, gloves, phone and tools – and in fact there’s a removable tool organiser too. 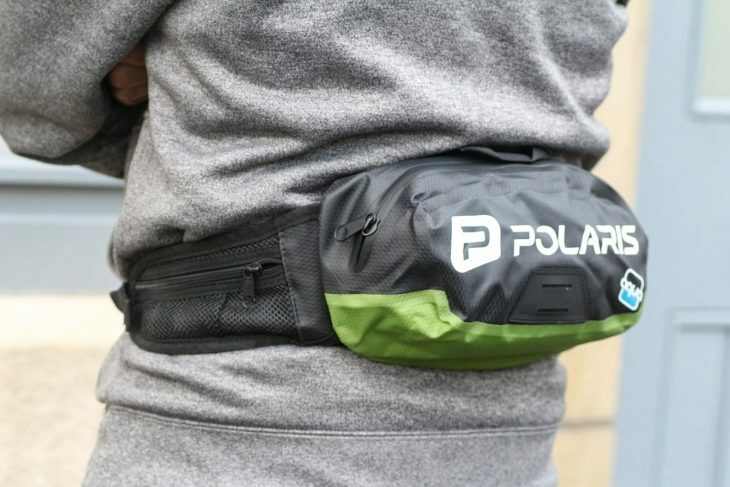 There are also small mesh pockets on the hips for gels and a multitool. And with that, that wraps up Fresh Goods Friday for another week. We’ve just sent the magazine to the printers last night, so we’re bouyed with the euphoria of another deadline met (or missed entirely if you’re Chipps). So we’ll definitely be joining you with some ‘Drink Beer At Your Desk Friday’ celebrations. And, seeing as it’s traditional to leave you with a tune with which to kickstart your weekend, here’s ‘Return of the Mack’ – mostly because they didn’t have ‘Return of the Chipps’ at the online record shop. He’s back and he’d like to point out that the next issue looks awesome and had very, very little to do with him. Step forward the rest of the team who added the awesome this issue: Stunt Editor – Hannah. Glorious Technicolourist – Amanda. Internet and Page Filling: Andi. Keeping the lights on: Mark, Ross and Zoe. Keeping the hamsters whirring: Andy and Tom. Keeping the postal service from going postal: James Luv. Making the iPads sing: Amazing Grace. and if your tastes are a little less modern (though, saying that, Return of the Mack is now over 20 years old…) here’s Steppenwolf! Return of the Mack is 20 years old? Nooooooooooooooooooo….